Bishop Curry is known for his powerful and charismatic preaching, combining his deep theological learning with a passionate commitment to bringing Christ's message to life. Photo courtesy of the Episcopal News Service/Mary Frances Schjonberg. Courtesy of the Episcopal News Service/Mary Frances Schjonberg. 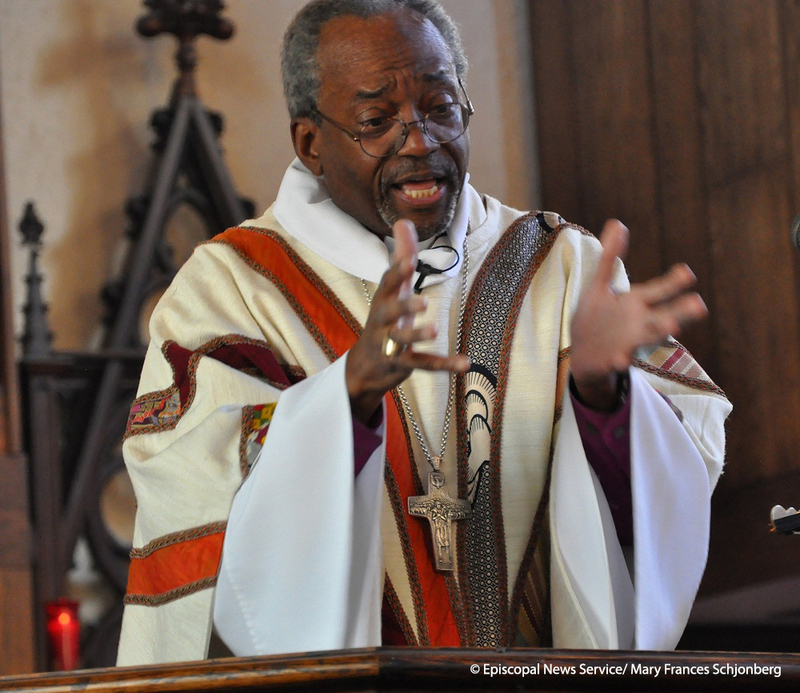 “Bishop Curry Preaching,” The Church Awakens: African Americans and the Struggle for Justice, accessed April 25, 2019, https://episcopalarchives.org/church-awakens/items/show/473.